Compatibility: Requires iOS 10.0 or later. Compatible with iPhone, iPad and iPod touch. The most comprehensive 3D musculoskeletal reference this side of a dissection lab. 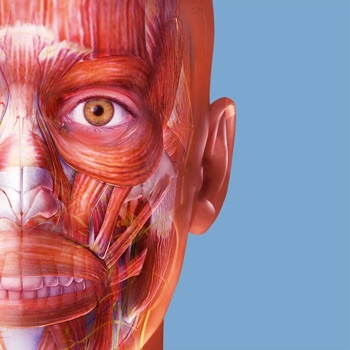 - Incredible 3D gross human anatomy models: Over 600 muscles and more than 200 bones. 2,200 origin and insertion points detail muscle attachments. Paint on bone shows surface areas of muscle attachments. Includes hundreds of 3D models of muscles, bones, ligaments, bursae, and nerves. 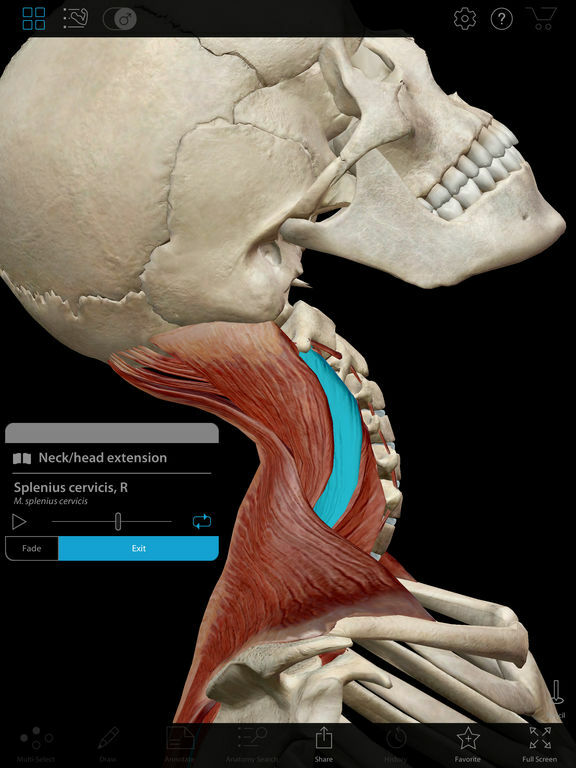 - Interactive 3D muscle actions: We've got over 60 of these bad boys. Hundreds of animated models show actions like adduction, pronation, flexion, and much more--and you can interact with them in motion! 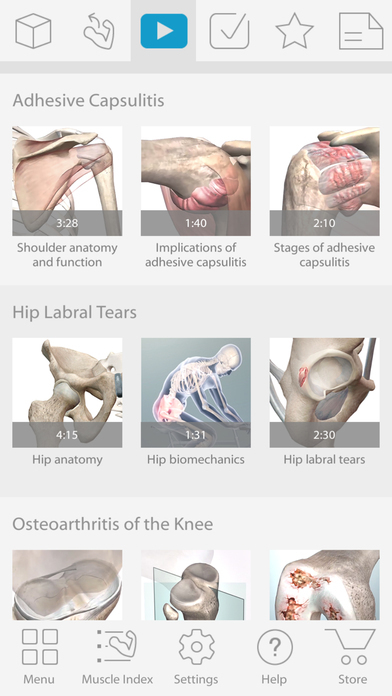 - Media section: Video presentations by physical therapists, doctors, and researchers. 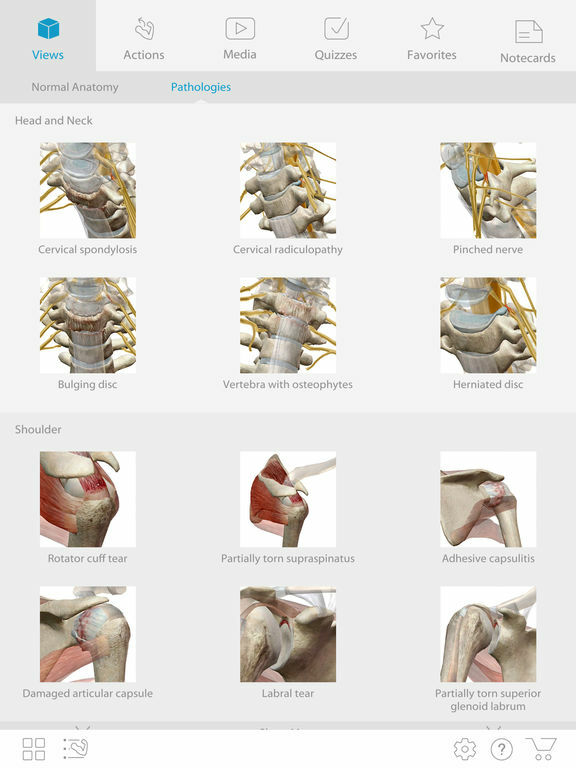 Use them to review normal anatomy and common conditions. Show your patients! Teach your students! - Encyclopedic reference content for better understanding: Want to know how to pronounce a ligament's name? Want to know how a muscle is innervated? Access detailed definitions for all structures, including details on origins and insertions, muscle actions, blood supply, and innervation. Don't forget audio pronunciations and Latin names, plus over 400 quiz questions to test your knowledge! * All content is organized specifically for healthcare professionals and students treating or studying musculoskeletal function and common conditions. 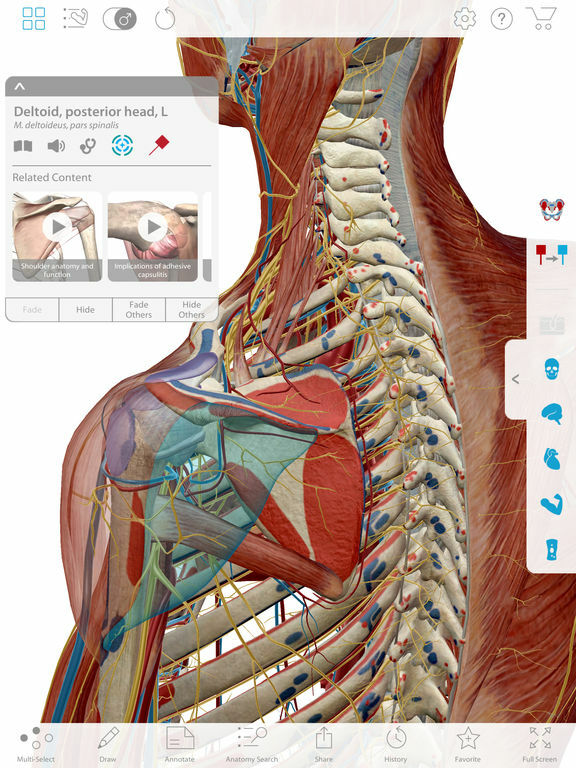 Content is organized by type (3D models, interactive animations, pathologies, and quizzes) and by body region (head and neck, upper limbs, shoulder, abdomen, spine & back, pelvis, and lower limbs). * Study hundreds of moving muscles with the library of muscle action animations. * Study over 1,000 pins that demarcate origins and insertions on muscles or bones. Bone paint is used to show areas of muscle attachment. * Test your knowledge by taking dozens of muscle and bone anatomy quizzes. You can customize views by adding the anatomy you want from several body systems and hiding the rest. Plus you can annotate and share. * Create a library of favorites in one tap. * Use notes feature to annotate images. * Export screenshots to use in presentations, share with colleagues, students, or patients. * Share favorite views with other Muscle Premium users. Muscle Premium is recommended by physical therapists, sports trainers, massage therapists, and orthopedic specialists. Have any other questions or comments? 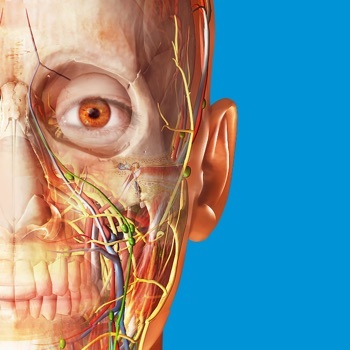 Visible Body creates innovative, interactive 3D human anatomy and physiology content and apps. If you love the human body, you'll love us! 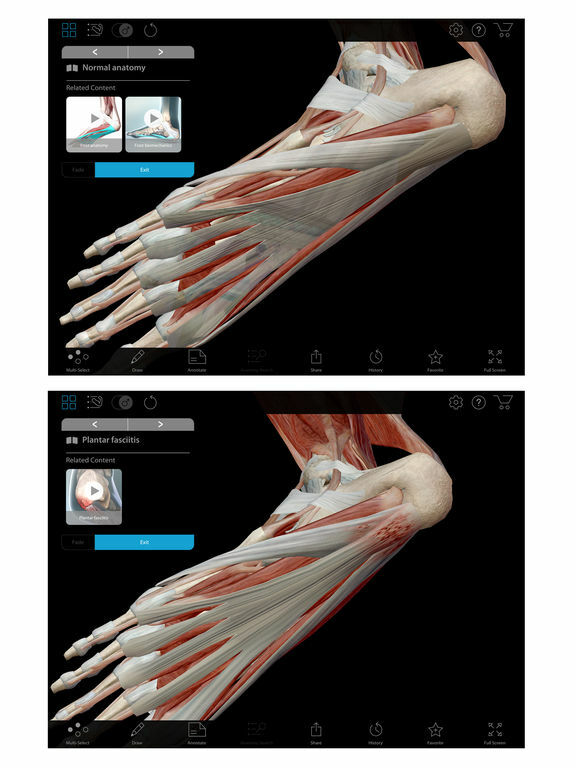 Healthcare professionals and students use our apps to make learning and teaching anatomy and physiology visual and engaging. Over a million people have used our products. Founded in 1996, Visible Body also operates as Argosy Publishing. - We heard your concerns! The Related Content feature is now collapsible on iPhone.